Our Program Calendar lists all the programs and activities that are currently being offered at Gilda’s Club Simcoe Muskoka. 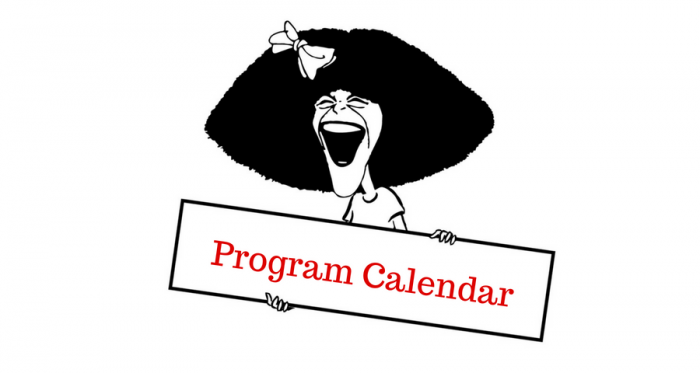 View our Program Calendar HERE. It is important that you register for any activity you wish to attend at least 24 hours in advance. If you have registered for an activity but become unable to attend, please give us as much notice as possible. Or coming into the Clubhouse in person. Members and their guests are also invited to come visit the Clubhouse any time during our hours of operation- cook up something yummy in the kitchen, chat in the Community Room, or read in the library! Just remember to sign in on the Kiosk at the front desk!